Fine Art Shippers is a family-owned branded company specializing in fine art shipping in NYC and across the Tri-State Area. However, our art shipping services actually extend to clients throughout the United States, and we also have trustworthy partners in many countries, which allows us to serve the art community around the world. Moreover, as a professional art moving company, Fine Art Shippers offers a full range of art shipping services, ranging from white glove art delivery to residential freight shipping. Our gallery shipping service is one of the most sought-after fine art shipping services we are very proud to offer. 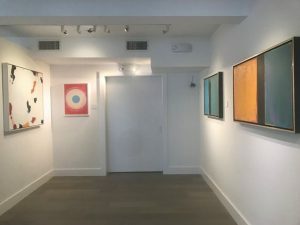 For today, Fine Art Shippers works with many reputable galleries, including Casterline Goodman Gallery that is known throughout the United States for its investment-grade original works of art by many prominent contemporary artists. 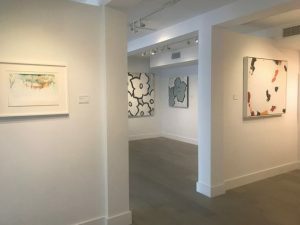 Founded by Robert Casterline and Jordan Goodman in 2011, Casterline Goodman Gallery specializes in first-tier Post-War and Contemporary art. Its impressive collection includes a variety of drawings, paintings, sculptures, and other artworks by such renowned artists as Andy Warhol, Gerhard Richter, Yayoi Kusama, Damien Hirst, Mark Bradford, Alexander Calder, and Jean-Michel Basquiat. 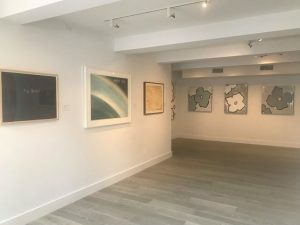 Moreover, Casterline Goodman Gallery has several locations across the United States: in Aspen, Chicago, and the newest one in Nantucket. The latter is of particular importance because Nantucket is indeed a gorgeous island attracting not only tourists but also art collectors wishing to purchase something unique and authentic. Not so long ago, Fine Art Shippers was chosen to ship freight of high value for Casterline Goodman Gallery in Nantucket. 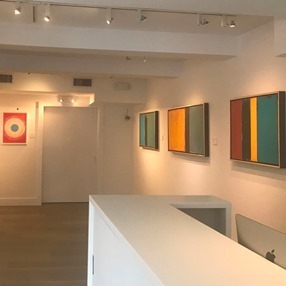 It was truly a fantastic experience as our team of art shippers was entrusted to bring an impressive collection of Contemporary American art, which will soon be displayed in this beautiful gallery. Besides, it was a great pleasure to work with Natalie Antoine, Director at Casterline Goodman Gallery, who was very helpful and attentive throughout the whole process of art transportation. At Fine Art Shippers, we highly recommend this amazing gallery with absolutely lovely owners to everyone! It is definitely a must-visit art destination in Nantucket! Moreover, whether you purchase a painting or a sculpture from Casterline Goodman Gallery, Fine Art Shippers will be happy to deliver it to you, no matter the destination. Our diverse art shipping services are always at your disposal!